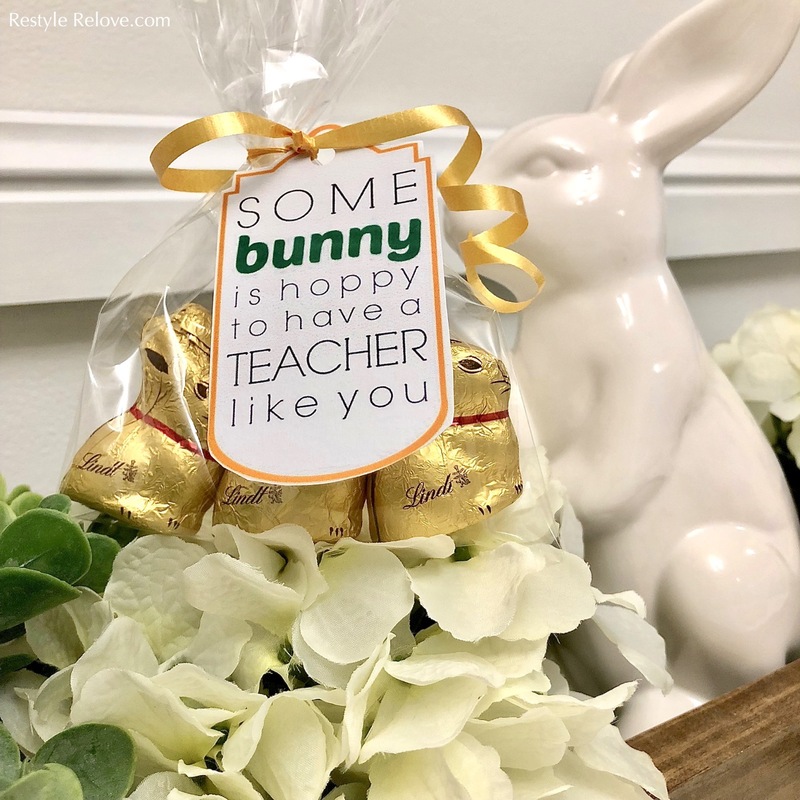 I love being a bit creative when it comes to teacher gifts and this year's Easter gifts were no exception. 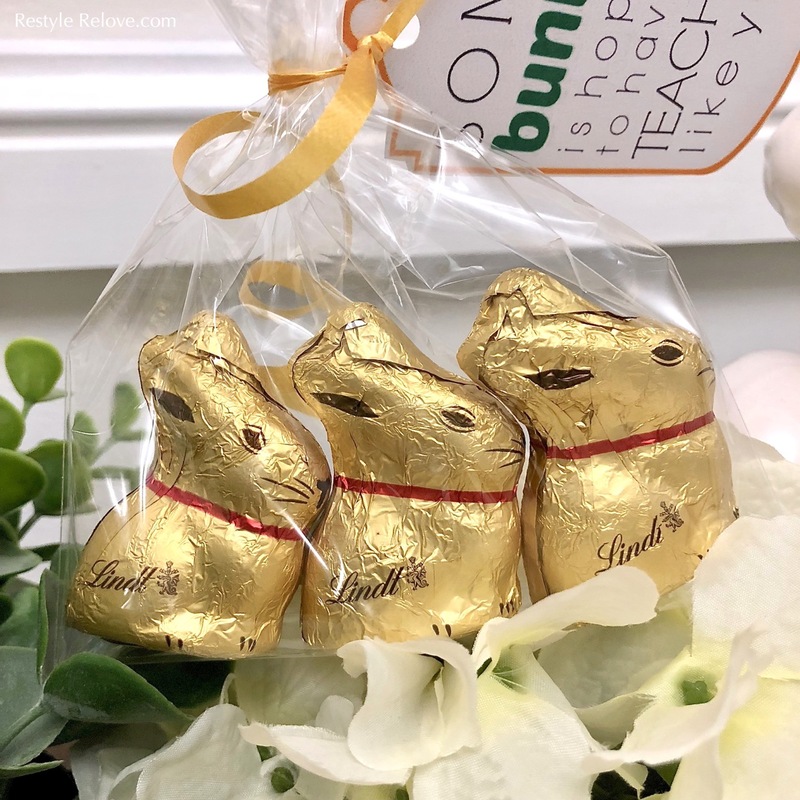 Each of the kids' teachers got 3 mini Lindt bunnies, wrapped with ribbon in a clear plastic bag. 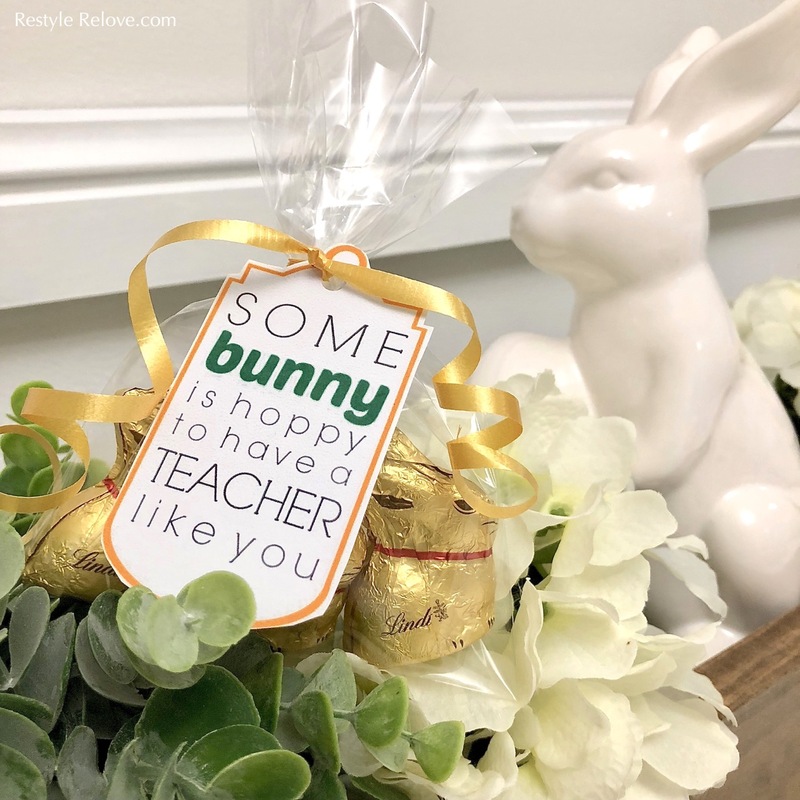 The cute little Easter gift tags I found on the web and printed off. I love the play on words. Then the kids wrote their own personal messages on the back of each tag, and we attached the tags to the bags. A small but thoughtful gift.